Why is Memorial Day a time for vacations, instead of remembrance? 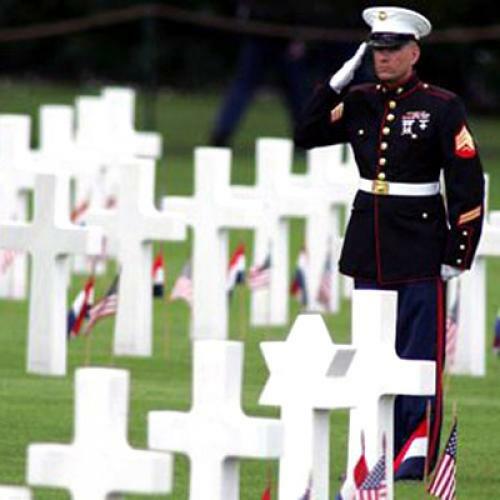 Washington—Why is it that every Memorial Day, we note that a holiday set aside for honoring our war dead has become instead an occasion for beach-going, barbecues and baseball? The problem arises because war-fighting has become less a common endeavor than a specialty engaged in by a relatively small subset of our population. True, some people slipped out of their obligations in the past, and military service was largely, though never exclusively, the preserve of males. The steady growth of opportunities for women in the armed forces is a positive development. I say this proudly as someone whose sister is a veteran of the Navy Judge Advocate General's Corps, as is her husband. Our major wars—particularly the Civil War, which gave rise to Memorial Day, and World War II—were in some sense mass democratic experiences. They touched the entire country. The same cannot be said of our more recent conflicts. Because it has been 65 years since we've seen anything like a mass mobilization, regular contact with our military is largely confined to the places where our men and women in uniform live. And, according to a 2007 Defense Department report, more than half of our home-based military personnel—54.5 percent of them—are stationed in just six states: California, Virginia, Texas, North Carolina, Georgia and Florida. A total of 12 states account for three-quarters of our service members. "Out of sight, out of mind" is a terrible principle when it comes to honoring those who protect us. But is there any doubt that it applies? The largest contrast in the social impact of war is between our time and the World War II era. In his superb book about the home front, "Days of Sadness, Years of Triumph," historian Geoffrey Perrett argues that the Second World War produced "the closest thing to a real social revolution" that the country experienced in the 20th century. That war sharply reduced "barriers to social and economic equality which had stood for decades." It was a time when "a genuine middle-class nation came into existence"; when "access to higher education became genuinely democratic for the first time"; when "the modern civil rights movement began"; and when "the only basic redistribution of national income in American history occurred." World War II and those who fought it were widely remembered because the conflict itself as well as its vast side effects insinuated themselves into the lives of everyone. The Civil War was etched in our memory for the same reason: it was the 19th century's great social revolution. The isolation of our military is part of a larger Balkanization of our nation into political and social classes that have little empathy for each other. Contrast this with what Perrett writes about our response to World War II: "A wildly heterogeneous nation was more completely united in purpose and spirit than at any time in its history." It's hard to imagine we'll be that united anytime soon. But history tells us that the honor we accord our veterans is closely linked to the respect and solidarity we express toward each other as fellow citizens of a democracy. Perhaps our veterans can teach us how to do this again.